Wanjiru Koinange was born in Kenya and grew up on a coffee farm on the outskirts of Nairobi where she spent her days playing in the bushes and reading under the generous shade of oak trees. She obtained her undergraduate degree (with distinction) in journalism and literature from the United States International University, after which she worked as a Talent Manager for some of East Africa’s most renowned artists and musicians. During this time she was part of several teams that created a series of events and festivals that continue to shape Kenya’s cultural landscape to this day. 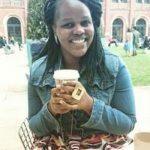 In 2012 she moved to South Africa to pursue a Masters in Creative Writing from the University in Cape Town; the product of which is this, her debut novel based on the 2007-2008 post election violence in Kenya. She is now back in Nairobi setting up a project that aims to re-install libraries in primary schools and public spaces in Kenya. She also works as an administrator and researcher for the Cape Town based NGO, the Africa Centre.